The function of the " Edge Position Controller EPD-3008P " is the same as that of the " Edge Position Controller EPD-3008 ". 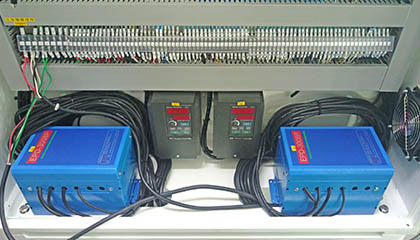 The difference is that the operation panel and controller of the EPD-3008P are separate, and the controller can be installed independently in the control box or hidden inside the mechanism, the operator EPOP-03A or other control panel can be installed in the best position for operation. a.Installed directly on the panel for operation. It could receive a variety of edge-position detector’s signals. Detector’s power DC±12V, 200mA max. Output analog signal of edge-position DC 0 ~ ±8V, 5mA max. Output to Motor DC 0 ~ ±24V, 3A max. 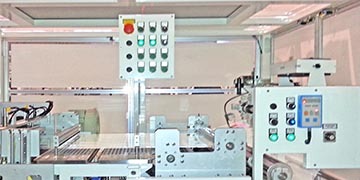 Edge Position Controller EPD-3008P is applied to the edge position control of “Manufacturing equipment of thin films”.